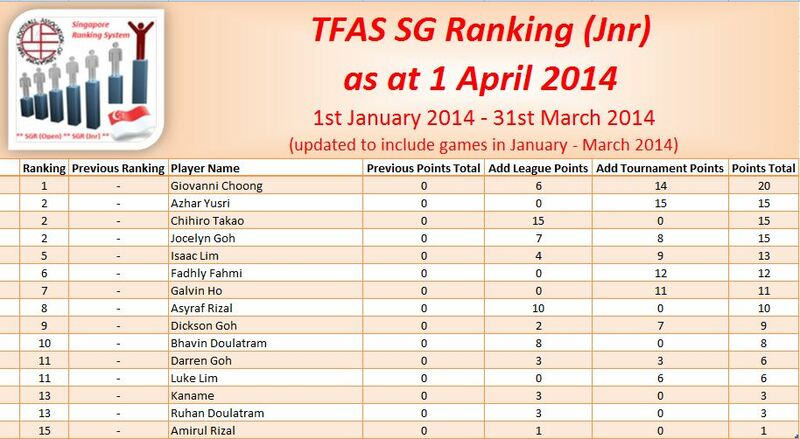 As per annoucement dated 27 Dec 2013, the very first SG Ranking is now officially released as at 1 Apr 2014. 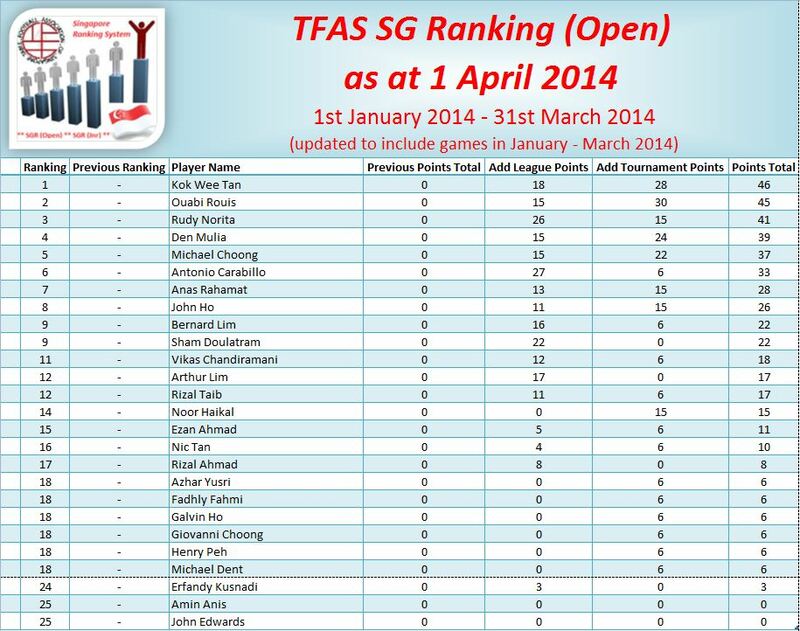 The current Number 1 top-ranked player in Singapore is none other than our President himself, Kok Wee Tan!! Rewarded for his regular participation & consistent performance in both TFAS-approved League & Tournaments, this is a classic case of leadership by example! … Congratulations Kok Wee!! Following closely behind at Number 2 is Ouabi Rouis separated by the thinnest of margin of only a mere single ranking point. At Number 3 is Rudy Norita, a further 4 ranking points behind. Congratulations to Giovanni Choong too!! … for being the current Number 1 top-ranked Junior player in Singapore!! Giovanni was rewarded for his consistent performance in both TFAS-approved League & Tournaments. Next up are 3 players tied at joint Number 2 & they are Azhar, Chihiro & Jocelyn. Given that there are 3 joint Number 2, there is no Number 3 & 4. The next ranked player is Isaac at Number 5. Well done, Juniors! !